Latham Thomas helps your favorite celebrities to birth to their beautiful babies. 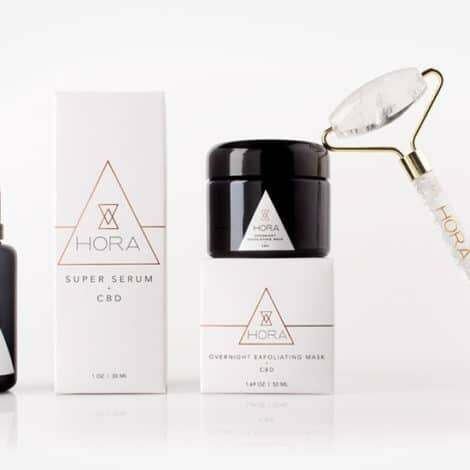 Now she wants to help you to give birth to your beautiful Inner Glow. 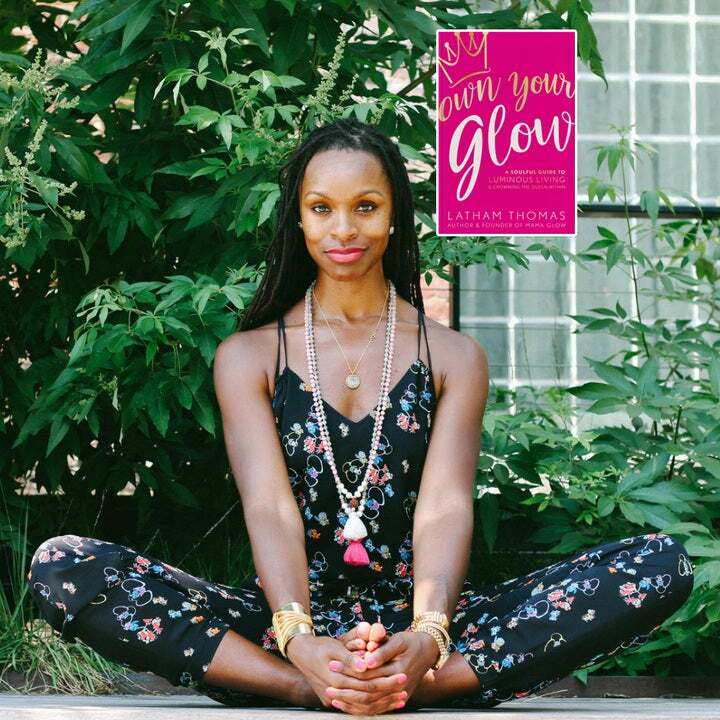 In her latest book, Own Your Glow: A Soulful Guide for Luminous Living and Crowning the Queen Within, the Glow Maven shares how to own your power in mind, body and spirit. Basic self-care is just the beginning. 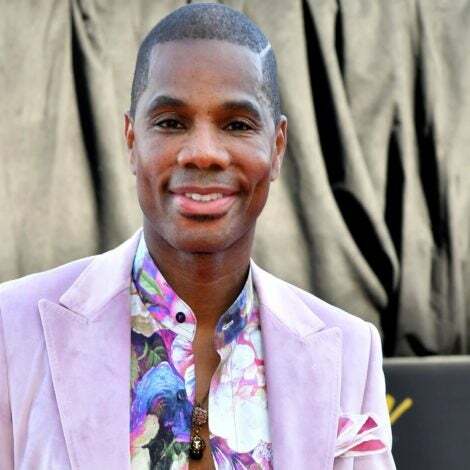 This celebrity wellness lifestyle guru and birth doula is Auntie O approved! She who was named one of Oprah Winfrey’s SuperSoul 100 and one of MindBodyGreen’s Top 100 Women to Watch in Wellness. 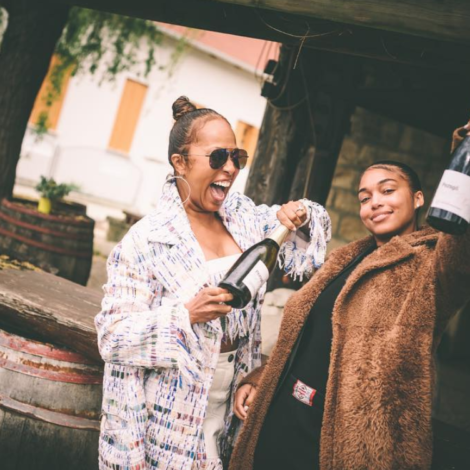 The proud mama of DJ prodigy and entrepreneur, DJ Fulano, Latham is the founder of Mama Glow, a lifestyle brand and website offering inspiration, education and holistic services for expectant and new mamas. Latham’s Glow Tip #1: Black women, we are sacred. We have been told in so many ways – from popular culture media through social media – things about ourselves that are ugly, that are not true. Black women are the light of the world. It’s like our pelvis is the seed of divinity. We’re here, we’re not going anywhere. We were first here. We have to remember the legacy and the pedigree and the ancestral roots and the blood and the sacred— the light of who we are, like who we come from, of what we are made of, like the sacred matrix. We’re powerful. We have to stop listening to people who are telling us what we know deep down to be untrue. We sit here and we let people speak statistics and tell us things that are about ourselves, how we’re too hard or we’re too this or we’re not that. Meanwhile, there are people making money selling things that are “so cool” about us. Commodifying our beauty, commodifying our bodies. Taking pieces of who we are in part and parcel; selling them off: our lips, the circumference of our butts, our breasts, our forehead, our hair, the way we move. Like, this idea of swagger, we invented that. This is idea of Black girl magic that people get all upset about it and are like you know, “How come everybody doesn’t have their magic? How come it’s black girl [magic]?” Do you know what black girls have to get through on a daily basis just to be who they are? Do you know what it takes to live in our skin and face the things we face? Latham’s Glow Tip #2: Mother Nature is sacred. I’m from California. I’m a woman who was raised surrounded in nature. I had a very unique upbringing that was rooted in nature and understanding right cycles. That really helped to create a reverence and an integration of respect and surrender to nature and natural rhythms and would lead also into my work as a birth doula. Latham’s Glow Tip #3: The female body is powerful. We hold the Universe together. I really believe in the power of female body and what’s capable and what’s possible and the magic and the sunshine between our legs. I believe that we should work every single day of our lives to return home to ourselves. There’s so many disruptive messages about the body and about women. My work is really about helping women to return home to themselves and also to help them cross a river. I hold their hands as I do my doula work. As women who are giving birth to other things, giving rise to the best version of themselves, giving rise to new relationships, new businesses, I support them. Witnessing is another big piece of work that I do. Really living in awe and being inspired by women and the works that we do on the planet to basically hold the universe together. Latham’s Glow Tip #4: Just witnessing each other is a healing practice. Latham’s Glow Tip #5: The Universe reward courage. Every time you take a courageous step, here comes the next step or the next— something comes to keep you on that course to let you know like, yes, that was good. 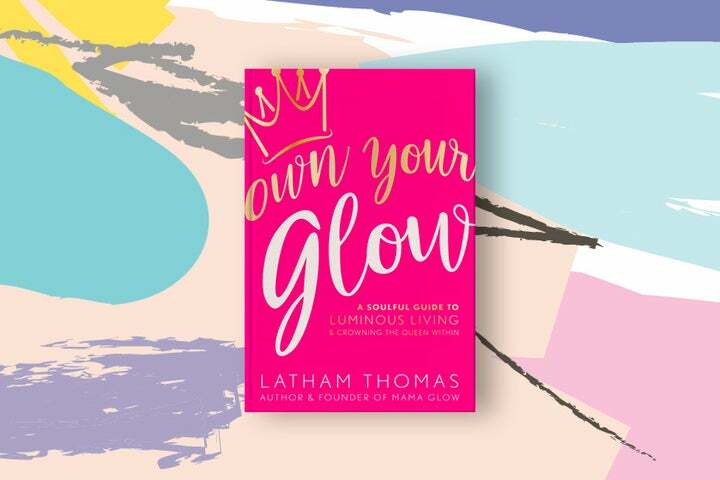 Get Own Your Glow: A Soulful Guide for Luminous Living and Crowning the Queen Within by Latham Thomas for more on owning your power and your self. 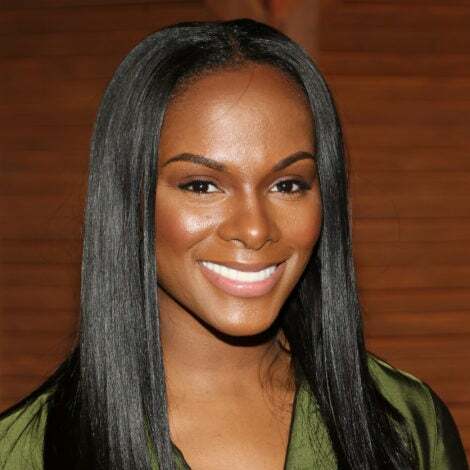 Lifestyle guru Abiola Abrams (@abiolaTV) is the author of “The Sacred Bombshell Handbook of Self-Love” and creator of the “African Goddess Affirmation Cards.” Download “Chakras on Fleek,” her latest meditation album, free, with the coupon code “LIFELOVESME” at ChakrasOnFleek.com.